Crop biotechnology – the development of new plant products for food, fodder, and energy – exploits molecular genetic techniques to develop modern varieties to meet growing agricultural challenges. We hear from Dr Caspar Chater, who, together with Prof. Alejandra Covarrubias, was awarded the £200,000 Newton Prize Mexico for their work improving bean drought tolerance in the face of climate change challenge. 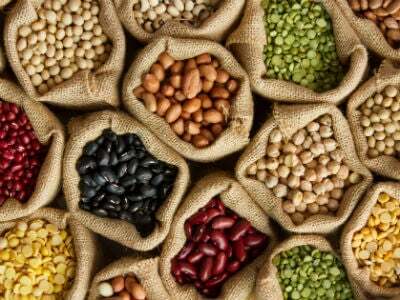 Beans are the most important grain legume in human diets, and a major source of protein, calories, and minerals. Indeed, bean production is central to the food security of Mexico, Latin America, and Africa, particularly in low-income rural communities. Central America, however, is facing an increasingly grave agricultural crisis. Climate change induced heat-and-drought-stress increasingly impact bean crop yields, affecting rural farmers and commercial enterprises. Mexico is the center of origin of beans, their primary centre of domestication, and their global center of genetic biodiversity. Beans are also central to Mexican history, culture, and cuisine. That’s why Mexico presents a great opportunity to discover novel mechanisms of bean drought resistance. Climate-modelling predicts that higher temperatures will soon limit crop production in Mexico and beyond, shrinking suitable bean growing areas by up to 50% by 2050 across Latin America. Despite an annual growth rate of 13% in Mexican bean production – and over 10% of Mexican land use being dedicated to bean production – human population increases have resulted in greater demand and domestic consumption of Mexico’s beans. This has resulted in a 60% increase in Mexican bean prices, and a need to import beans from abroad over the past five years alone. Bean crop production has to be sustainably intensified to address these major problems, which means developing stress-resistant varieties that can cope with the new climate extremes. How Can Plant Biotechnology Help? The team’s combined expertise will identify novel mutations and traits involved in plant gas exchange, water use, and nitrogen use. It will then ‘climate-test’ key bean lines in the University of Sheffield’s Sir David Read Controlled Environment CO2 Facilities. The best gene candidates can then be used to develop new drought resistant bean varieties, either through marker assisted breeding, or non-transgenic gene editing technologies. In this way, we hope that we can rapidly produce high yielding bean crops to withstand the coming heat waves and droughts induced by fossil fuel-driven climate change. Longer term, the project could help reduce rural poverty and improve socio-economic advancement of marginalised communities by aiding efficient, competitive and profitable low-input farming. Improving bean yields and minimising nitrogen fertiliser inputs will also benefit soils, reduce desertification and improve water quality in these areas. The UK Government’s Newton Fund is a £735 million fund that promotes the economic and social development of partnering countries through investment in innovative scientific collaboration. The Newton Prize celebrates the excellent research brought about by the Fund and aims to tackle the largest challenges facing Newton partner countries. This year, the Newton Prize competition received applications from 140 projects across four countries in Latin America: Mexico, Brazil, Chile and Colombia, and of those projects, six finalists were selected per country, of which one would win the award. Despite overwhelming evidence of the safety of transgenic crops (Genetically Modified Organisms, GMOs), they remain highly controversial and there is also public concern over GMOs outcrossing into wild native species. Mexico’s President, Andrés Manuel López Obrador, has stated that his government will not permit GMO technologies in Mexican agriculture. This means that we must seek alternative non-transgenic methods to develop drought and heat tolerant crops to combat the effects of climate change. 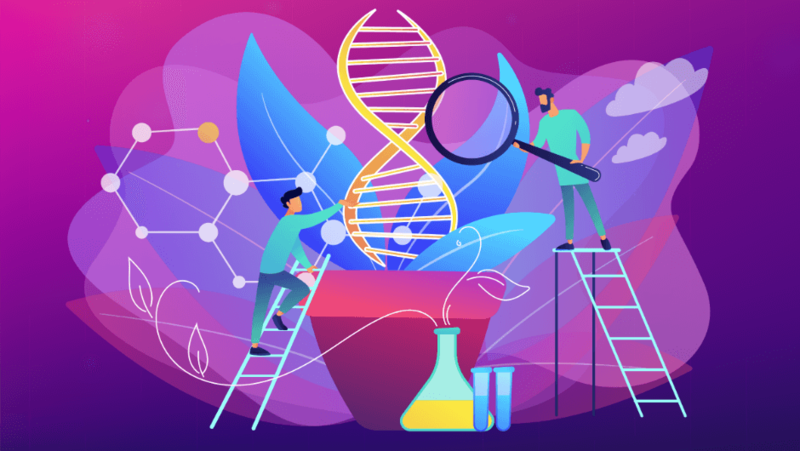 Our Newton Prize project, a collaboration involving molecular biologist Prof Julie Gray (Sheffield), legume nitrogen fixation expert Prof Georgina Hernández (CCG UNAM), and bioinformatics expert Dr Alejandro Sánchez (UUSMB, UNAM), aims to do just that. The Newton Prize really gives us the opportunity to improve Mexico’s bean crops, which have been historically overlooked by investors and funders when compared to cereals and soybean. It also provides a platform to show their importance for millions of farmers and communities in the Global South. The slow progress of industry and policy-makers in curbing global fossil fuel and CO2 outputs means that we need ensure our crops are ‘climate ready’ to avert a food and water security crisis. Dr Caspar Chater is a molecular plant biologist and research fellow at the Institute of Biotechnology at UNAM, Mexico, and in the Department of Molecular Biology and Biotechnology at the University of Sheffield, UK. After earning a BSc. in Biology from University College London he went on to do internships at University of Sussex and RBG Kew before completing his PhD. in Plant Evolutionary Development at the University of Sheffield. After post-doctoral training in the labs of Prof. David Beerling FRS and Prof. Julie Gray, Caspar moved to Mexico in 2015, where he lives with his wife and daughter.